Marketers will be able to give physical and digital rewards to users on completion of desired actions. 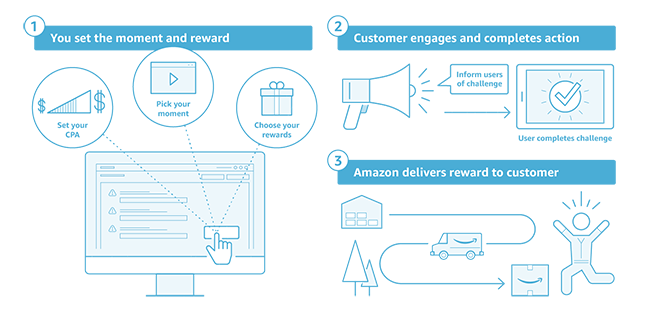 Amazon’s new Moments program, which has been launched in 100 countries, allows developers to reward users by offering tailored physical or digital gifts for carrying out actions it wants them to perform. 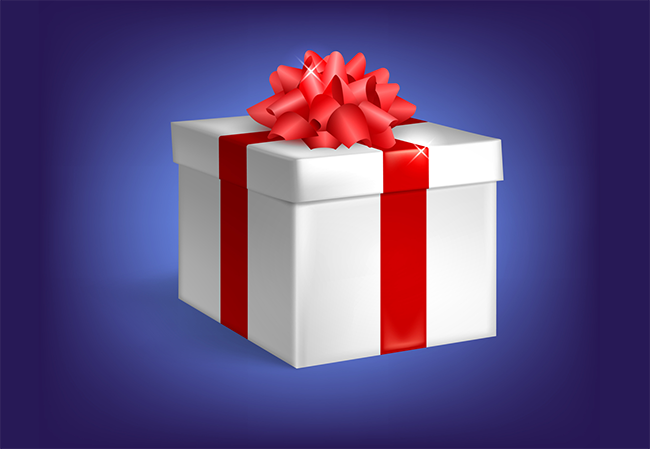 The gifts are delivered by Amazon, removing the burden of storage and shipping from marketers. Desired actions, or “Moments”, can range from resubscribing or signing up for services, to very specific targets. Amazon gave the example of a fitness app incentivizing the completion of 30 workouts if they knew that users completing this task were more likely to continue using the app and make a certain spend over a certain period. Marketers use a self-service console to define the action they want users to carry out on their app or website, and then choose a reward which will be delivered once the desired action is completed. Pricing is based on a cost-per-action (CPA) model, so payment is only made when users complete the required action. The flexible CPA pricing model means you can set costs which won’t exceed your customer lifetime value. Amazon says the Moments cross platform solution has lightweight integration and was created to be “a simple add-on to your existing retention mechanisms”. As well as digital rewards such as gift vouchers or virtual currencies, physical gifts can be chosen from a catalogue of “millions of products including some of Amazon's most popular items”. The fact that the companies offering rewards have the delivery and fulfilment side taken care of makes it a much easier proposition, with Amazon’s established global delivery doing the heavy lifting. For Amazon, it maximises use of its existing infrastructure and opens up further opportunities to sell items from its marketplace. Sesame Workshop offered a digital ebook to users signing up for their IAP offers, which Lili Lampasona, Senior Director, Business Development, said had increased net revenue by 16%. For more details of the scheme including how to sign up, see Amazon's Moments site . Edith MacLeod works in Wordtracker's Community and Content team. With a background in languages, in previous roles she has worked as a translator and interpreter and as a news editor, before moving into the world of SEO. Amazon, YouTube and eBay keywords and search volumes. From Wordtracker.